“I was 6 years old when I first visited the Bamako orphanage. To me it was a magical place where I met my two siblings for the first time. From 1996 – 2004 we were in Mali every year and amongst other things, visited the orphanage. From the very beginning, us four siblings have been very involved with family initiative; we sewed cushions, created Christmas angels for the Christmas basket, sold cake in the school breaks and got our classmates involved in our project. In 2007, I spent two months in the orphanage and learnt about the day-to-day life of the orphanage, the problems they face, but also the big and small moments of happiness. The city and the people welcome me with open arms. The orphanage has become very close to my heart! “When my friend Laura recently told me about the orphanage and the commitment of her family to the children in Bamako, it was immediately clear to me: I would like to contribute here. After some research on the conditions in Mali and the situation of the children, it was obvious that the private initiative had to be supported and expanded. With my background in law and public health, I am particularly shocked by the fact that due to a change in the adoption law the youngest of the world will be denied the chance of a loving new family. And even more, because of the lack of caretakers and medicine, the little ones are increasingly exposed to infectious diseases. It is not to underestimate that child mortality in Mali is currently 114.7 per 1000 live births in the first five years of life. Thus, the country is ranked as the 6th among the countries with the highest child mortality rate in the world (Statista, 2015). Also the children in the orphanage of Bamako lack sufficient medical care and medicines and are therefore in a precarious situation. Together, Laura and I decided to expand her parents' private funding with a supporting initiative and are now launching our project "Bàmunan ye Bamako", which we also guarantee to finance with our own private funds. 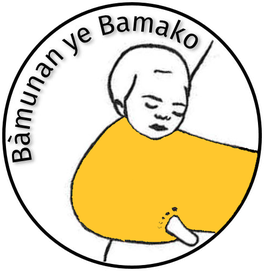 With "Bàmunan ye Bamako" we hope to reach the support and aid of friends, family and others, to whom the orphanage is so much dependent. "